Please see the obituary for picnic details. Please call David (414-460-7667) with any questions regarding the picnic. Please direct all cards and memorials to Mrs. Torres. Please scroll down for service, celebration of life picnic, and memorial information as well as a link to online directions to the service and picnic. 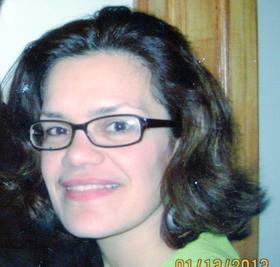 Isabel Valdez is the daughter of Amparo Torres and the late Miguel Angel Torres, the mother of Juan Angel Valdez (her only son), the sister of (oldest to youngest): Frankie Acevedo, his family, and grandchildren; Ada Iris Torres; Lillian Torres, her family, and grandchildren; Tammy Torres, her family, and grandchildren; Marixa Torres and her family; Yvette Torres, her family, and grandchild. Isabel was a baptized dedicated servant of Jehovah for over 30 years with the Milwaukee Spanish East Congregation. The last few years she served as a full time pioneer/minister of the good news. She attended and graduated from Milwaukee Tech High School in 1984. She was a loving and caring mother, daughter, sister, aunt, niece, cousin, and friend. Next to her son, her mother was the dearest person to her. The Memorial talk will be given by Rick Santiago, Saturday, July 14, 2018 at 2:00 PM at The Kingdom Hall of Jehovah's Witnesses 5747 N. 29th Street, Milwaukee, WI 53209. There will be a remembrance picnic potluck to celebrate her life on Sunday, July 15, 2018 from 2:00 PM – 10:00 PM at The Firehouse 2255 76th Street, Franksville, WI 53126. Bring as much or as little as you'd like: grills, music, games, just come. There will be a park area outside and ample space inside if there is inclement weather. There will be no alcohol or smoking allowed on the premises. For questions about the picnic contact David (414) 460-7667. Cards and donations can be sent to: Amparo Torres, 2860 S. 34th Street, Milwaukee, WI 53215.